Missouri’s Parkland is home to many world class manufacturing and business support companies that serve global markets. Our industrial partners include mining operations, precision tool and die, roto-molded plastics, injection molded plastics, precision plating processes, direct and third party logistics operations, leather and wood products, and many more. Our industries are supported by dedicated and skilled employees, locally available specialized training programs, and a supportive community. Our industrial partners include advanced manufacturing technologies with employees that lead their industries in quality and productivity. Learn more about the companies that call Farmington home! Click a logo below. US Tool Group is an innovative supplier of industrial products and is the largest tool reconditioning company in North America. With over 400 skilled employees at its Farmington location, US Tool Group processes over 500,000 drills and tools each week. US Tool Group’s impressive list of customers include: The Boeing Company, United Technologies, GE Aviation, Triumph/Vaught Aircraft Industries, Northrop Grumman Corporation, Bombardier, Gulfstream Aerospace, Spirit AeroSystems, Bell Helicopter/Textron, GKN Aerospace Services, Huntington Ingalls, Inc., Mitsubishi Power Systems, Lockheed Martin, and Airbus USA. SRG Global, Inc. is a leading manufacturer of high value coatings on plastics for the automotive, commercial truck and consumer good industries. 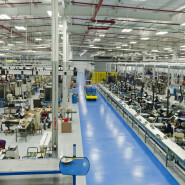 SRG Global, Inc. has over 350 employees at its Farmington facility and produces high quality automotive and appliance components to exacting specifications. STARTEK has a client roster that includes some of the world’s largest telecommunications companies, providers of wireless voice, messaging and data. STARTEK manages customer interaction at every point of the customer life cycle, in every major segment of industry. With over 700 agents in its Farmington call center, STARTEK is one of the areas largest employers. CENTENE Corporation is a leading national multi-line healthcare enterprise that provides insurance claim processing services. At its Farmington location, a staff of 320 processes over 20 million claims each year. TRIMFOOT Co., LLC has been a leader in the footwear industry for over 100 years. At its Farmington location, Trimfoot specializes in infant and children’s footwear and develops and sells quality footwear across a broad market spectrum under both national retail brands and private labels. In house brands include Baby Deer, WEE Kids, Dance Class, Lindsay Phillips, and more. Trimfoot is the distributor for many national brands including Disney, Bushnell, Guess, DKNY, and Eastland. Midwest Embroidery Supplies is the professional embroiderer’s solution for all of their needs. Headquartered in Farmington, the company is locally owned and operated with a workforce of 60 employees. FORTE’ Product Solutions offers superb quality and precise engineering in the manufacture of products using rotational molding. The facility in Farmington is equipped with one of the largest rotational molding machines in North America and produces a variety of products for a broad range of customers. BENEE’S is a multi-faceted manufacturing company that sets itself apart from its competitors by being vertically integrated from design to product delivery. Benee’s provides custom fixtures for education, libraries, museums, and retail locations. 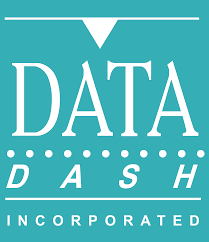 Data Dash has been providing high quality data and document services for 25 years. Data Dash accurately captures and indexes millions of characters and documents each month. Data Dash guarantees 99.5% accuracy on handwritten documents and forms. Botkin Lumber Company is a family owned manufacturer of a wide range of lumber products including pallets, customized material containers, and other specialized products. Botkin is a full service lumber company providing both products and services to match its customers’ diverse requirements. Botkin has matched high grade raw materials with automated production processes to establish a nationwide reputation for customized high quality products. MOCAP is a leader in plastic and rubber protective products. With two facilities located in the Parkland, MOCAP offers its customers a wide variety of products to meet their rubber and plastic protective product requirements. 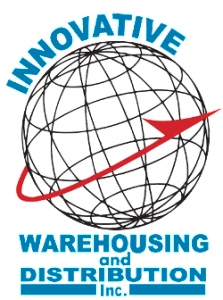 Innovative Warehouse and Distribution has provided commercial customers with dependable LTL shipping for more than 20 years. Innovative offers a variety of methods to quickly and safely move your goods. When you need to store items, Innovative has both short-term and long-term warehousing options; and they are conveniently located in the Farmington Industrial Park.